It is finally summer for our kids and we spent a few days upstate celebrating Matty's 8th birthday. I took many of these on Instagram (http://instagram.com/courtneyaffrunti) Are you on Instagram? I just love it. Not to mention it is so much easier to lug around my phone instead of my heavy dslr. Kyle and Keeper at the creek. The best days start out with our boat ready to go! 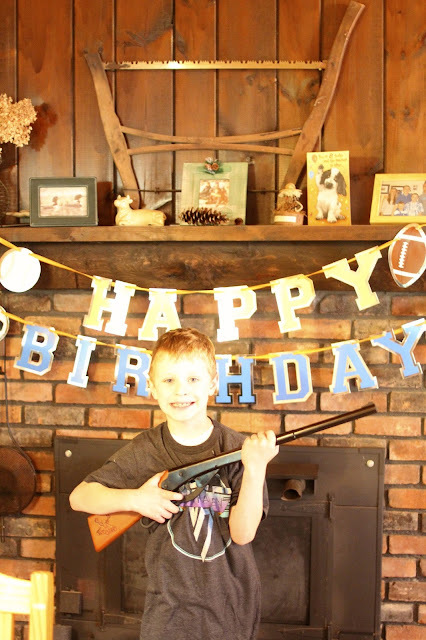 The birthday boy with his new BB gun, a Daisy Buck. We watched this turtle lay its eggs and then return to the water. On our last trip, we saw a baby turtle in this area. So cool! So happy the easy days of summer are here! This family is going weekly warm up on every wednesdays. They have kids and they do best for their kids and also for them. Because this type of warm up is help them to make them physical and mentally perfect which is good for living better life.